The remains of an amputated man and his missing body parts were discovered by a councilman beside a sugarcane plantation in Negros Occidental around 6:30 a.m. on Thursday. Lead case investigator Inspector Glenn Grajo estimated the age of the victim between 40 to 46 years old but declined to identify him as they are still investigating the incident, Sunstar reported. Grajo said the victim's head was covered with a dust bag. He had suffered from at least six gunshot wounds. The victim's right hand and left forearm also appeared to have been hacked off. 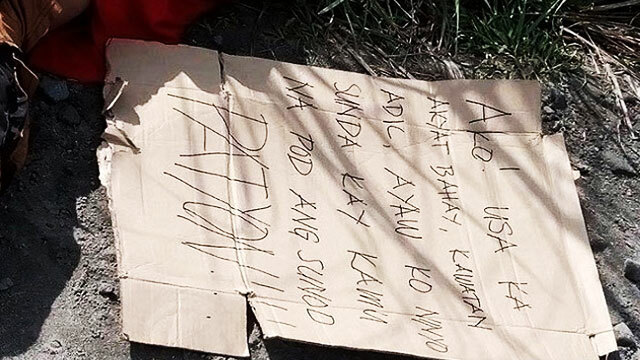 A note written in Cebuano was also found at the crime scene along with four caliber .45 bullet shells. "I'm a house burglar, thief, drug addict. Don't be like me or you will also die," it read. 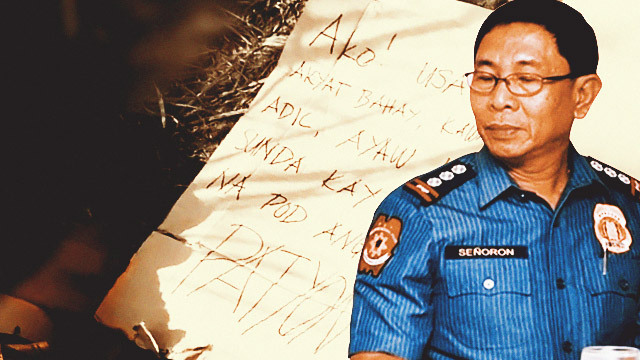 Senior Superintendent William Señoron, acting head of the Negros Occidental Police, said it was unlikely that the suspects were vigilantes since they haven't observed any such groups in their area recently. Authorities are currently looking into the incident to identify the perpetrators and determine the motive behind the crime.